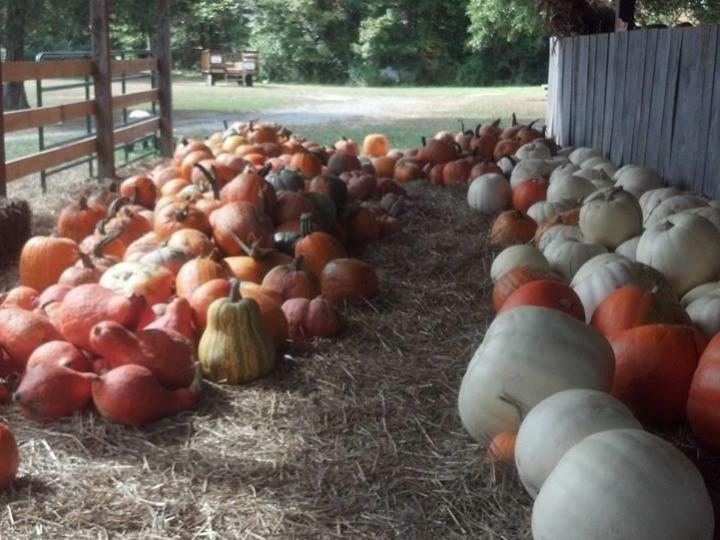 Decatur, Ala. – For the past 20 years, McGee Farm has welcomed thousands of visitors to its family-owned business to celebrate the arrival of fall and all of its glory. From September 30 to October 31, 2017, McGee Farm will be open daily to the public and everyone is invited to pick pumpkins and experience on-the-farm fun, country cooking and other family-friendly activities. Located in Florence, Ala., McGee Farm is now in its 21st year of opening the farm for visitors to enjoy. Visitors have a choice of picking their orange treasure straight off the vine from the pumpkin patch or from a pile that have been pre-picked. Over 25 varieties of pumpkins are available to choose from, with some growing up to 200 pounds and some as small as a child’s hand. Along with pumpkins of all shapes and sizes, visitors are treated to farm-life activities such as playing in hay, taking a scenic tractor-drawn wagon ride, a barnyard bounce and feeding chickens. For those who want a piece of the autumn season to enjoy at home, fall decorations, such as straw bales, corn stalks and miniature gourds will be available to purchase. In addition to pumpkins, McGee Farm grows all of the colorful mums that are for sale each year. Visitors can pick from thousands of pots and many color variations. The Kitchen at McGee Farm will be open, serving up home-cooked country favorites such as white beans and cornbread, soups, muffins, homemade treats, pies, and more. McGee Farm also has a picnic area under a huge oak tree where guests can have picnics or can rest and take in the scenic countryside. Homemade jams, jellies, and relishes will be for sale for visitors to enjoy at home or to give as gifts for the upcoming holiday season. McGee Farm is open to the general public and group tours Monday through Friday 3 to 6 p.m., Saturday 10 a.m. to 6 p.m., and Sunday 1 to 5 p.m. beginning September 30 until October 31, 2017. Admission to the farm is free. Cost for the tractor-drawn wagon ride is $3 per person. School tour and group tour rates and reservations are available upon request. Pumpkin prices begin at $1, with larger pumpkins sold at 45 cents per pound. Birthday parties are also available upon request. McGee Farm is a working family farm located at 8221 County Road 7 in Florence. For more information, visit www.mcgeefarm.com or follow them on Facebook. To make a reservation for a group tour, contact Amy McGee at 256.766.2725.